Corie Miller, Event Specialist at Larkins On The River is here today to share a glimpse inside southern weddings and sentimental traditions! Weddings in the south are like nothing else. For southern weddings, wedding couples and their vendor teams pull out all the stops to the point where the entire town checks their mail in hopes they were blessed with an invitation! 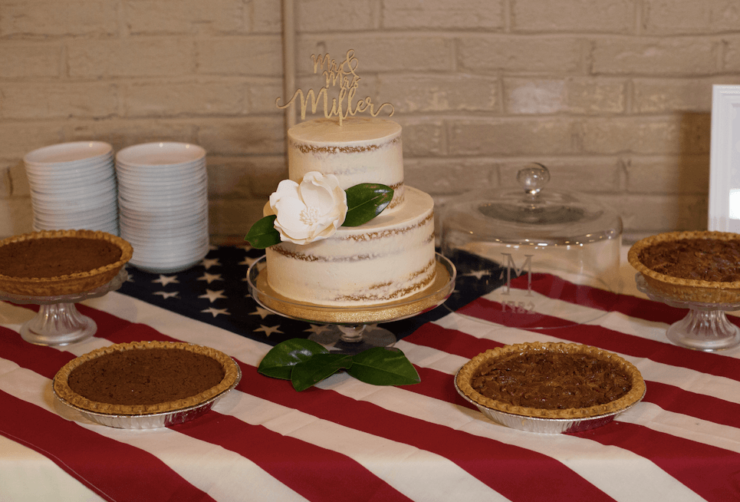 Next time you attend a southern wedding, take a good look around, you may notice a few details that you wouldn’t have seen before. The antique lace runner on the gift table, the framed black and white image of the same lace runner in a wedding from years past denoting it was a special piece. The glasses the wedding couple uses for their toast, the monogrammed dinner napkins, or the cake topper with faded faces due to its age. Southerners are ripe with tradition, but they are also very sentimental folks. With sentimental touches in mind, no matter which state you hail from, one can assume everyone has heard of the “Something Borrowed” tradition. The bride must have her something old, something new, something borrowed, and something blue. While traditionally these sentimental items may be worn, let’s take a modern spin on that to locate these sentimental touches which can be used at the wedding ceremony and/or reception. For example, the cake stand can be the something borrowed or the something old. Perhaps your grandmother has a beautiful cake stand she has owned for years and you remember how on each Sunday afternoon she would display the cake atop it. As a child, you counted down the minutes until you were able to taste the flavor of the week. Imagine using that same cake stand at your wedding. What a special tribute to your grandmother and the years that molded you into the person you became. Or perhaps there is a set of china from a family member! The ornate detail and beautiful colors will complement your event décor perfectly. 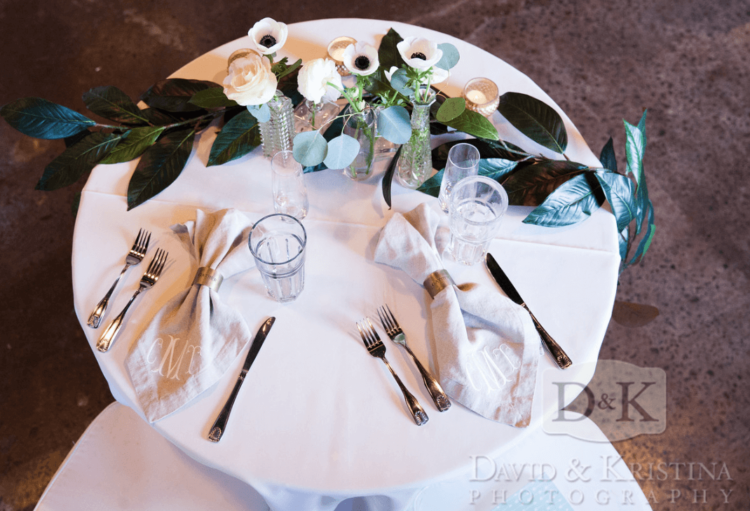 Use those at the head table and be sure the photographer has been notified of the special touches around the room. 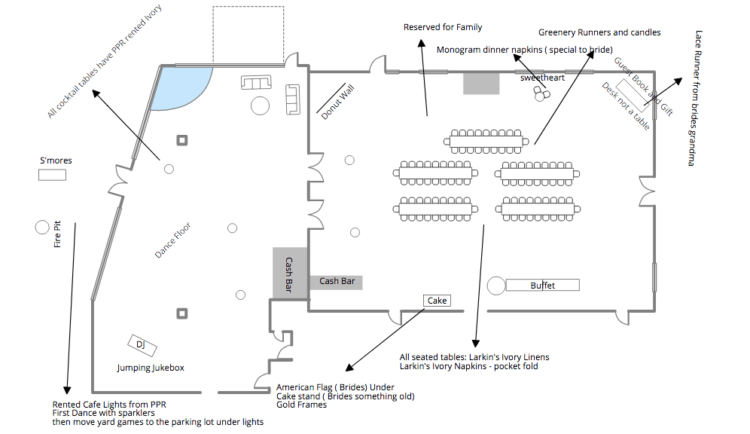 We find that the best way to keep our vendor teams up to date on the floorplan and details is to properly note where all the items go within the AllSeated floorplan diagram! Whether it’s the veil in your hair, the pearls around your neck, or the linens on the table, the guests are sure to notice the time and thought put into every detail. Using items that have a sentimental emotion will not only make you feel special, but the guests will feel it too. You have created a special night and invited them to join in with you. With a lesson from southern weddings, incorporating sentimental items allows you to involve old memories while creating new ones.